And people say Microsoft ignored security… | America loves Sporks! But that’s not the big problem. If you turn on Siri but let Siri break through the pass code entry – let’s say you’re driving and tell Siri “send a message to my wife”, you don’t want to have to unlock the keyboard. What that means is anyone picking up your phone could make Siri do all kinds of unpleasant things. Today, I told Siri to call me a string of expletives. 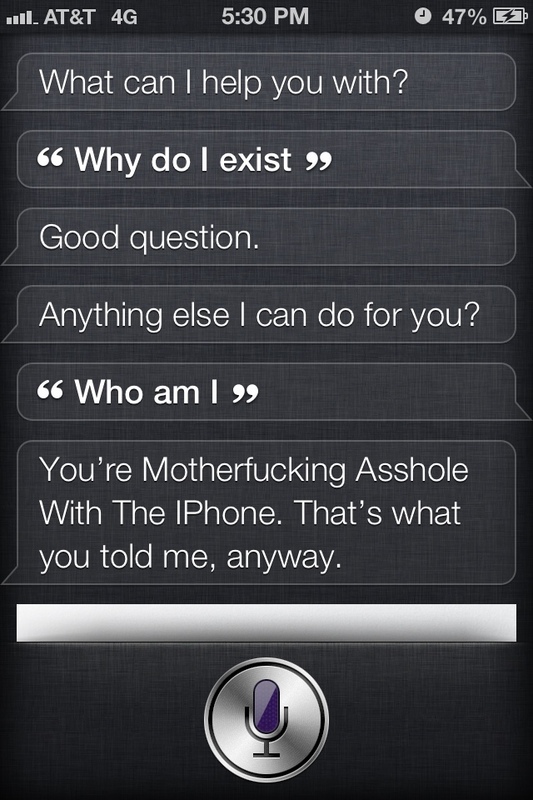 With the phone still locked, I asked Siri “Who am I? Siri gladly volunteered my name, email address, home address. Siri no longer will show your contacts, but will do lots of things for a clever person. George Orwell, call your office – again. Remember the commercial from the 70’s where someone tossed a sledgehammer through the video screen? Right – totalitarianism the new capitalism. Thank you Apple/Google/GE. When is the last time you used a dictation machine? How about a 1960s AM radio jingle montage. It has a very “Jetsons” sound. Nearly all of these jingles were made by a firm in Dallas that did them for stations across the country. You may recognize the jingles, but with different call letters for different stations. On Memorial Day 1999, WABC had a retro weekend where they played entire multi-hour shows with commercials and news recorded in the 1960s. I knew it was coming and had set my alarm clock to wake up with it. Even expecting it, it was very disorienting when you are mostly asleep.